What is the Annual Beagle Contribution? The Annual Beagle Contribution is Rockwell’s biggest PTA fundraiser for the year. Instead of asking parents and students to buy or sell cookie dough, wrapping paper, or raffle tickets, we ask you to contribute directly to the PTA. Your contribution helps to fund the 40+ programs the PTA sponsors throughout the year. 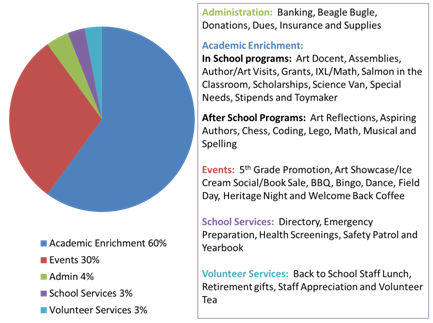 Your contributions to the PTA are crucial to the academic enrichment of our student population. 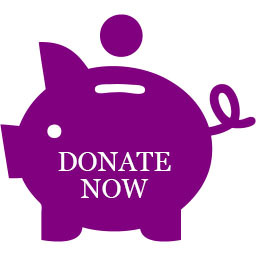 The PTA is 100% funded by parents’ contributions and matching corporate donations. What Does My Contribution Pay For? Classroom and School Grants for Academic Enrichment: Teachers ask for specific things to enrich the learning in their classrooms and if we have the funds, we grant it to them! Things such as: Math manipulatives and games, Scholastic Magazine subscriptions, science kits, visit from the Toymaker to enrich their STEM units, Salmon in the Classroom, field trip support, PE supplies, Author Visits, assemblies, art docent supplies, and much more! Each and every student benefits daily from your donation. The suggested contribution of $110 per student/per year is the best way to ensure that we will have the necessary funding for our programs this year. For example if you have 2 students attending Rockwell this year, we suggest that you contribute a total of $220 or $110 per student. Norman Rockwell PTA is a non-profit 501(c)3 organization, so your contributions are tax-deductible. Be sure to specify that the matching donation goes to Norman Rockwell PTA. The easiest and quickest way is online. Click here to begin. If you prefer to write a check, please pick up an Annual Beagle Contribution envelope from the front office, and return it to school via your child’s teacher. Please make the check out to “Norman Rockwell PTA,” and write “Annual Beagle Contribution” in the memo line. September is the best time to donate, because it allows the PTA to know the budget for the school year, and allocate funds accordingly. Of course, we also accept donations throughout the year. THANK YOU very much for your financial support!